We're back down off the mountain now, on our way home. Although the move to this space (in the back of Settlers Green, one of the outlet mall complexes which blights Route 16 in North Conway) had been announced a few months prior to our visit, we found these studios unoccupied. 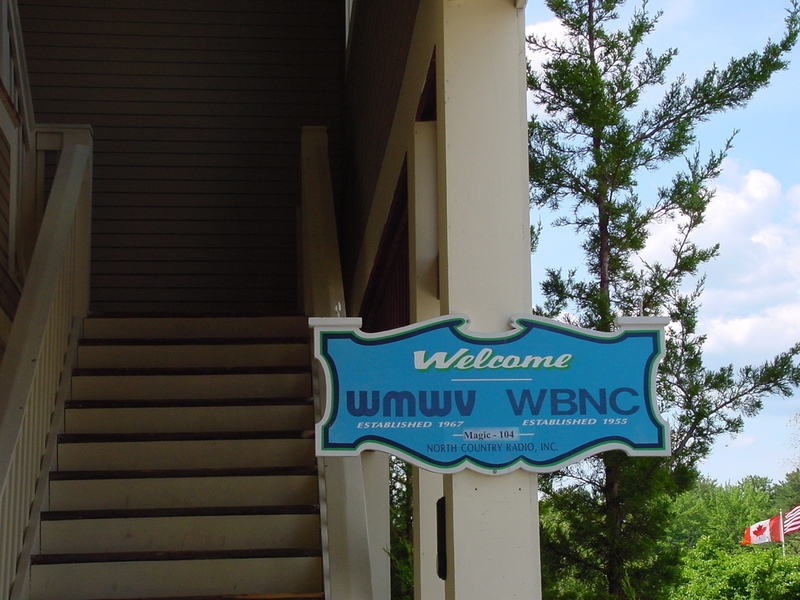 According to a promo on WMWV, their morning show was operating out of this studio, but so far as we could tell, all the rest of the stations' operations were still at the old farmhouse in Conway. Copyright 2002, Garrett A. Wollman. All rights reserved. Photograph taken 2002-06-29.